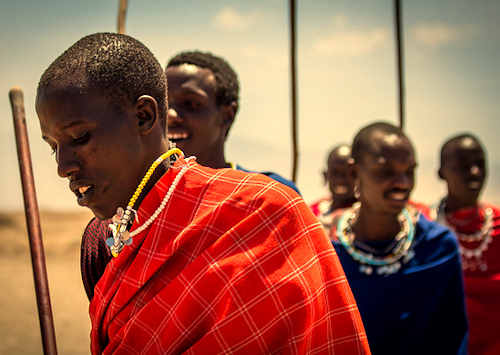 A Culture tour will certainly compliment your Tanzania safari as well as complete your great experience while in Africa. All Cultural Safaris in Tanzania are arranged with gentleness and reverence for the different cultures, homes as well as villages visited. They are focused on ensuring that visitors come face to face with people from different cultures directly and also offer them an opportunity to experience the true gem that actually makes Tanzania very exceptional. In numerous regions, rural life is actually an attraction on its-own. Well cultivated plots as well as verdant tropical vegetation characterize the background of majority of the simple rural houses. The Women are commonly seen in multicolored dresses carry firewood and pails of water as they return home. The Villagers take part in a number of developmental projects, among which are irrigation systems, primary schools and small health centers. The local people are very eager and willing to welcome tourists as well as show them how they spend their daily life, teach them about their culture and show them the spectacular scenery of their villages. The local look at tourism not only as an income generating activity but also as an activity that creates employment opportunities, and can actually help in the betterment of their basic living conditions. For that reason therefore, Cultural tourism is a form of tourism that closely involves the participation of the local people. The local resident design and arrange the tours, they show tourists features of the region in which they reside, and also show them how they spend their day to day life. During these cultural tours, the local people normally show – off their development projects, such as irrigation farming as well as activities including soil conservation plus income generating initiatives done by women groups. These safaris are not only educative but also fascinating such that Visitors leave these areas contented that they have not just got new friends but also acquired more knowledge about the various development schemes going on within the rural areas of Tanzania. Cultural tourism within Tanzania is very fascinating as it permits tourists to getter a better understanding of the local people living in the various areas where the cultural safaris are conducted. You have a chance to learn about the customs, culture as well as traditions of the villages first hand and have an opportunity to appreciate their lifestyle. Sometimes times, visitors may be told about the long ago stories about the wildlife as well as the ancestral tales which try to make clear the natural phenomena. The fundamental value of these cultural tours in Tanzania is the prospect of learning more about the people who initially may seem to be odd. However as you gain knowledge about them as well as their natural environment; you will actually discover that they are a people not quite different from the rest of the world. We look forward to you finding the Tanzania cultural tours not only enjoyable but also very memorable. However note that these cultural tours can be combined within your safari adventure in Tanzania so if you are really interested in these contact your tour operator or travel agent and this will certainly be tailor in accordance to your wish. Below I have highlighted just a few of the places where you can enjoy a very memorable cultural tour while in Tanzania.